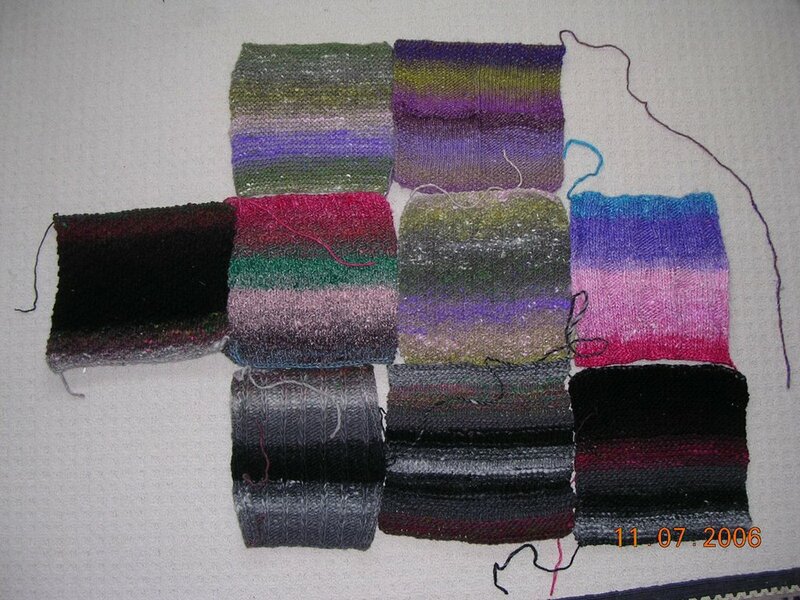 Here are all the finished squares so far. I've got another on the needles to add. I think they look great! I might add a few more and then start sewing up. Any suggestions on the lay-out? Should I log-cabin around the outside? Thanks to everyone for contributing. I'll remember you whenever I use this!